Waste management has over the last century been on top of most countries’ watch list. Several programs have been put in place by stakeholders both in the private and public sectors. The waste removal programs have been initiated by players such as the councils, individual environmentalists, as well as garbage removal/recycling companies. However, in this particular article, the point of focus is on some of the outstanding bloggers who have demonstrated the ability to live a zero – waste life. The youthful 24 – year old employee of a tech entity is one of the champions of waste management for a better environment. She came into limelight after starting her blog, Litterless. The site offers tips on waste minimization for traveling persons, household families, and for fast food consumers. The blog posts discourage irresponsible littering, purchasing single use items, to wrong perceptions about recycling/recycled products and so on. 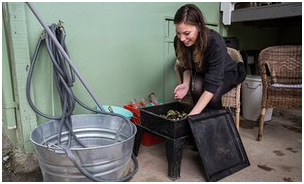 Despite the inability to live a complete zero waste life, Celia is more than determined to produce as least waste as possible. She doesn’t perceive waste reduction as an obligation to anyone but she instead made it her lifestyle. Subscribing to a composting service, using recyclable items, and refusing samples in plastic packaging are some of her principles. Ristow admits that managing waste in a planet with 7 billion people using disposable items can never be achieved individually. She encourages everyone to play their role and fix their eyes on the ultimate price for minimal waste. 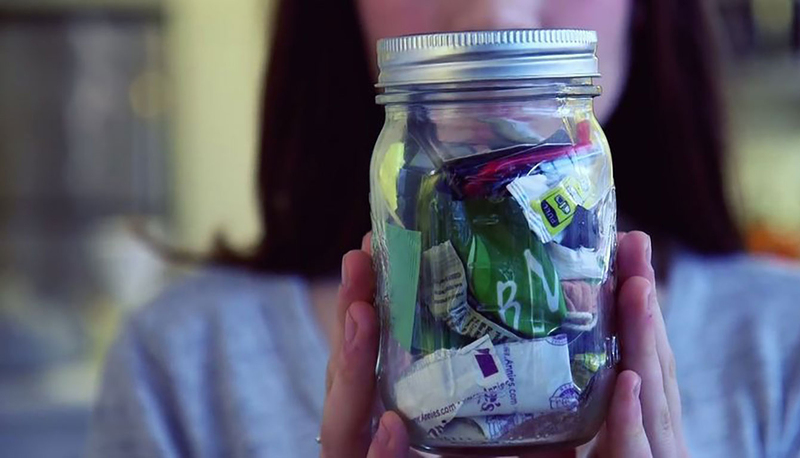 The part – time 25 – year old blogger is another incredible enthusiast of a zero - waste lifestyle. Despite being a full-time worker at a print shop, she manages to blog for at least four hours daily about her passionate niche; waste management. The most outstanding thing about her is that she has in the past managed to fit her one year waste into an 8oz tin. Apart from her blog Going Zero Waste, she posts on Instagram and Facebook about worm composting, homemade lip balm and eyeliner, among other topics on garbage management. The aspiring actress has had her fair share of criticism for her waste standards. “I’m getting so much hate mails yet am not even that big,” admits a determined Kellogg. Her critics are drawn from her social media pages to her blog. Going Zero Waste was officially launched in March 2015 majorly to help spread the message. Dr. Danniel Kammen, an energy professor, was quoted encouraging people to appreciate personal efforts being put into waste reduction. Kathryn champions her mission with other young like-minded women like Lauren Singer of Trash is for Tossers and Celia Ristow of Litterless. Together, one can only imagine how determined they are to make the world a better place for the generations to come. 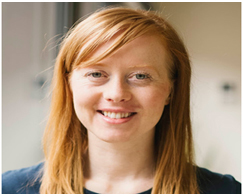 Erin is a renowned blogger with a keen eye on zero waste living. The Australian based blogger started off in June 2013 after being inspired by a Canadian couple in a documentary. The couple pledged not to buy anything new for a year in a bid to reduce waste. She was surprised at how garbage she produced and decided to give change a chance. In her blog The Rogue Ginger, the writer passionately speaks about the ability to recycle and avoid waste. 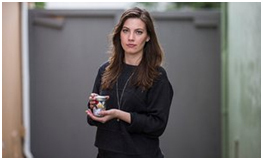 Her attempt to live a plastic and zero - waste life yielded fruits having learnt about eating real foods, avoiding exposure to harmful chemicals, and maintaining hygiene while at the same time saving time. Through her blog and social media pages, Rhoads shares posts with thousands of her followers on cleaning, plastic free alternatives to shopping, fashion, makeup, and cooking while trying to produce no garbage. The blog has received numerous positive feedbacks from waste management enthusiasts from all walks of life. Waste management is not only beneficial to an individual environmentalist but also to the environment at large. It is therefore the collective responsibility of each and every citizen to abide by the garbage control measures that have been established by your country. As one waste management blogger once stated in an interview, “By 2050, hopefully, the world should have more conscious individuals, intentional, and compassionate of their relationships towards the planet and each other”.